Dan Wells has done what I would have thought well nigh impossible. He created a startlingly sympathetic sociopath. John Wayne Cleaver is a teenaged boy who lives with his mother in the mortuary she owns. His father is long gone, with only the occasional card or overdue Christmas present to remind them of his existence. John is quiet. He enjoys working with the corpses the coroner delivers to the mortuary. He is obsessed with serial killers, and realized at a young age that he was different from other kids. "The idea that I might be sociopathic was nothing new to me--I'd known for a long time that I didn't connect with other people. I didn't understand them, and they didn't understand me, and whatever emotional language they spoke seemed beyond my capacity to learn...sociopathy wasn't just being emotionally deaf, it was being emotionally mute, too." But John wants to be good. He developed strict rules to keep other people safe and to prevent any of his dangerous behaviors from escalating into actions that would harm others. Don't have anything to do with animals. If he starts having negative or hateful thoughts about someone, immediately compliment them. No aggression towards other people. If he starts obsessing about someone, he has to ignore them for a week. His therapist, Dr. Neblin, points out that "You are always the one who makes your own choices--no one else. The fact that you have those rules, and that you follow them so carefully, says a lot about you and your character. You're a good person, John." This drives some sociopaths to feel superior, as if the whole of humanity were simply animals to be hunted or put down; others feel a hot, jealous rage, desperate to have what they cannot. I simply felt alone, one leaf sitting miles away from a giant, communal pile. And then a serial killer strikes in Clayton County, John's hometown. Dan keeps the tension high throughout the book on several fronts. We're worried about the serial killer - who will he get next? Why is he mutilating the bodies in such a grotesque fashion? Is he going to figure out that John is on to him? We're worried about John - will his obsession with serial killers in general, and this serial killer in particular, push him closer to the edge he has so assiduously avoided for his entire life? What lengths will he go to in order to find and stop the murderer? We're worried about all those that John cares for - will his single-minded obsession endanger them? Will they see the terrible thoughts that reside in his head and reject him, leaving him even more alone than before? There's a twisty revelation about the killer about 100 pages in that caught me by surprise and increased my interest in the story by several orders of magnitude. But I'm not gonna tell you what it was, you'll have to read it yourself. 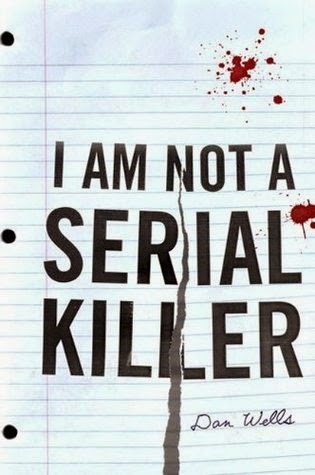 I Am Not a Serial Killer is not in a genre I usually seek out, but I was sucked in completely. It's a bit unnerving to find yourself rooting for a sociopath, and it's a testament to Dan's writing skills that both the sociopathic protagonist, and even the serial killer to an extent, are sympathetic characters. Trigger warning: There are a couple of fairly disturbing violent passages and descriptions of the brutally murdered bodies. If you have a sensitive stomach, you may want to avoid those parts or the book altogether. Disclosure: Yes, this is the same Dan Wells who wrote the Partials trilogy which I reviewed recently, so yes, this is the same Dan Wells I knew and hung out with my freshman year at BYU.